J & J Jewelers in Ocala is the local jewelry store for all of your fine jewelry needs including jewelry repair, custom design, diamond jewelry and engagement rings, bridal sets, estate jewelry, unique fashion jewelry, pearl stringing, jewelry appraisal and so much more. We would love for you to visit our local Ocala jewelry store located in the Jasmine Plaza on the 200 corridor. J & J Jewelers has been awarded #1 for Favorite Ocala Jeweler for ten consecutive years by the South Marion Citizen. We believe this is a result of not only hard work, but unwavering integrity. We stand behind our work and are picky about the results – the job simply needs to be done right or we won’t do it. You can learn more about our customers’ experiences by checking our reviews on Google – click here. Your wedding symbolizes a match made to last. Be sure your wedding band is the perfect symbol of your love and an ideal compliment to your partner's ring. Come in and browse our wedding band collection and find your perfect pair. If you are looking for an Ocala jeweler that can help you select or custom design a new piece of diamond jewelry, consider J & J Jewelers. We have a variety of diamond resources from around the world. Jeff is a diamond expert and will take the time to shop for the highest quality stone within your budget and design choice. We will set real expectations and at the same time help you stretch your dollar as far as it can go. 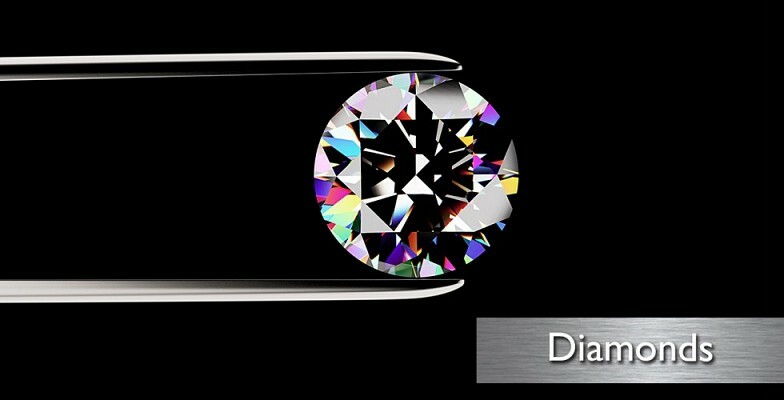 Our goal is to provide you with good information and advice to help you make choices that will insure complete satisfaction with your new diamond jewelry for a lifetime. Stones can be set by appointment while you wait. Click to find out more about our diamond services. We invite you to learn more about diamonds from the internet's encyclopedia, https://en.wikipedia.org/wiki/Diamond. Looking for an Ocala jeweler you can trust to clean and repair your family heirlooms and other fine jewelry? You can watch Jeff work while he cleans or sets your stone(s), by appointment. We are insured so your investment is protected while it is in our care. To learn more about the types of repair and services we offer – click here. Jeff is a creative and talented craftsman who is pretty much limited only by your imagination. He can help you create new jewelry from inherited stones and broches, or build your unique piece from scratch. To check out our custom design page for ideas… click here. We also have a good selection of fashion accessories to match a wide spectrum of tastes and budgets. Our fashion jewelry is high quality, unlike much of what you will find in a department store or at the mall. We have a variety of colors and stones to choose from, making it easier to find the perfect complement for a garment that is difficult to match. You might be surprised that there are no licensing requirements for jewelers in Florida. Because of this you want to be very careful who your trust with your repairs, custom designs, and even cleaning. Stones have varying degrees of hardness and can chip or break if not handled properly. Reduce your risk of damage by knowing your jeweler and their level of knowledge and experience. Equally surprising, there is no Florida law requiring jewelers to carry insurance! 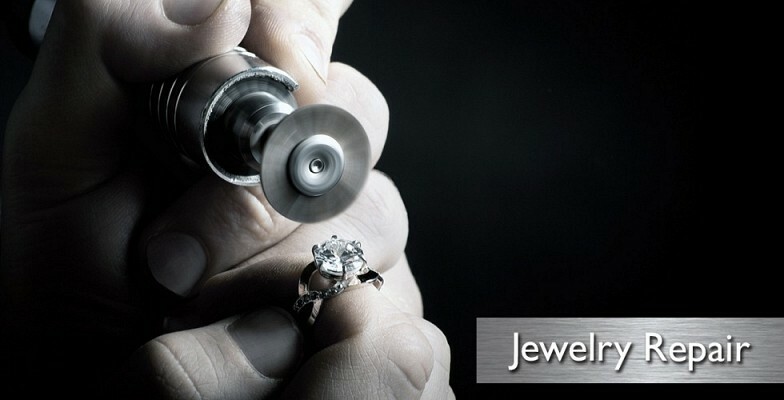 J & J Jewelers is properly insured and while your investment is in our care, you can be sure that it is protected. Although there is no certification or license required, we do meet state requirements for gold buyers in the state of Florida, unlike many gold buyers in the Ocala area. Our scales are periodically certified by the state and you can be sure we will give a fair value for your gold and estate jewelry. J & J Jewelers wants to be your friendly neighborhood Jeweler in Ocala. Please, stop by our store located in the Jasmine Plaza on State Road 200. We’d love to meet you!